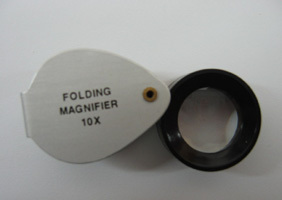 Handy folding magnifier. 10x power. Good for checking bacteria colonies and microorganisms in water.